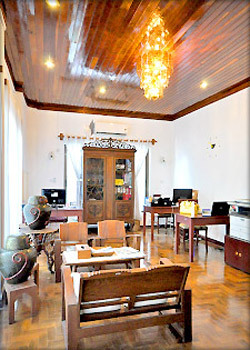 Pronto Services is the leading real estate agent for expats in Yangon and beyond. We source residential and commercial properties for expatriate individuals and businesses such as international organizations, embassies, INGO’s, global concerns and multinationals. We deal directly with landlords and offer a unique NO FEE structure to our clients, plus FREE legal advice during contract and rent negotiations, plus the ability to pay rents by international bank transfer. Our service is based on expert knowledge, a deep understanding of local context and a firm grasp of international standards of housing. NO COMMISSION FOR TENANTS; Pronto Services does NOT charge clients for finding properties, because our commission comes directly from the landlord. NO LEGAL FEES; Pronto Services does NOT charge clients for assisting with rental and contract negotiations. FREE TRANSPORT; We offer free transport to all our clients when viewing properties. We can pick you up from your home, office or hotel and will drop you back again, whenever and however often you would like to visit your property or prospective rentals, prior to your move in date. INTERNATIONAL BANK TRANSFERS; Rental contracts in Myanmar have to be paid 12 months in advance, which can cause a problem for international clients who are just getting used to living in a cash economy. Pronto Services makes life easier by offering the option to pay by bank transfer instead. NO MIDDLEMEN; We don’t deal with brokers, we don’t offer commission to ‘finders’ and we don’t partner with other agencies, individuals or brokers. With Pronto Services you get us working on behalf of clients to find properties and on behalf of landlords to find tenants. Nothing more, nothing less. We like to be straightforward, honest and transparent in all our dealings. REAL PHOTOS; We only use the relevant photos from each property in our advertising on our website and social media pages. Unlike many agencies we don’t see the point of showing false houses, condos and offices and we therefore employ a full time photographer who visits every single property we put on our database. PERSONAL SERVICE; We offer a bespoke, all round, personal service which we believe is second to none in Yangon’s often confusing housing market. Q: What is the difference between an apartment and a condo? A: In Myanmar an apartment is a block of residences without a lift/elevator, whilst a condo is a block of flats(apartments) with an elevator. Q: How soon can I move into a property once I have found one? A: We pride ourselves on being quick and efficient when it comes to contract negotiations. Once you have found your home, we con contact the landlord and agree on the contract start date immediately. If everything is to your liking and the property is ready to move into, the whole process can be as quick as one week. Q: Why do I have to pay 12 month's rent up front? A: This is the current system in Myanmar and will remain for some time. Occasionally we can negotiate for 6 months, but 12 months advance payment is the norm. Submit your real estate questions in our CONTACT FORM here. Pronto Services was started in 2013 by Robin Aung Saw Naing, a local businessman who spent many years working internationally in the development sector. 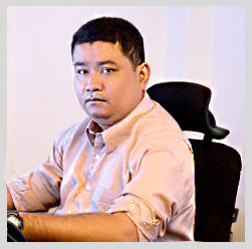 Realising that his friends and colleagues were finding living in Yangon increasingly frustrating, due mainly to the recent changes and the subsequent effect on the housing market, Robin decided to use his considerable international knowledge and local network to set up Yangon’s premier expat real estate agency. Employing a mix of local and international staff, Pronto Services aims to take the stress out of finding and moving into a property in Yangon. Whilst the property market has at times reached ridiculous peaks in terms of price, location and facilities, Pronto Services keeps a realistic perspective of the current trends and knows absolutely what properties will appeal to our international clients. Unique in terms of our NO FEE structure and the ability for international clients to pay rent by bank transfer, Pronto Services offers a bespoke, personal service to Embassies, the UN agencies and INGO’s, corporate clients and individuals.